The Barracks, Stirling aka Armament Depot aka Railway Company Stores. Rectangular stone built two storey building, slated roof. End and central bays advanced, central bay with topped with ball finials. Loading doors in upper storey. Referred to locally as the French Barracks. 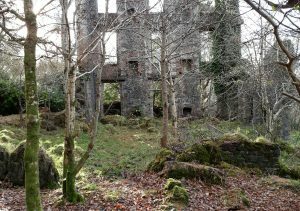 Forthside estate was sold to the British Army in 1864, upon the death of Mrs Wallace of Forthside House, for use by the Royal Army Ordnance Corps. The French Barracks formed part of a complex of stores buildings bounded by the railway station to the West and the River Forth to the East. 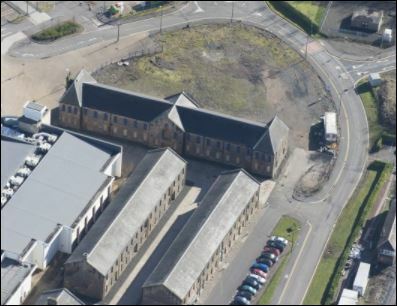 Below – aerial view of the Barracks, Stirling. 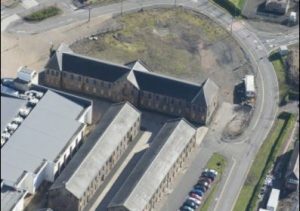 On 07/12/2017, while visiting the Engine Shed, Stirling it was noted that there was major building works taking place at The Barracks, Stirling. 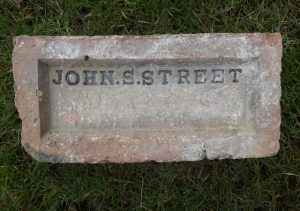 A large pile of bricks had been dumped next to the works. 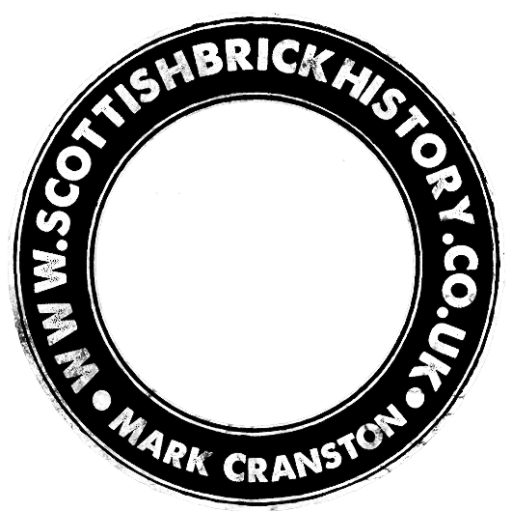 On speaking to a workman he stated that the bricks had formed internal walls within the barracks. These had been removed. He thereafter obtained the following 2 bricks from the pile. 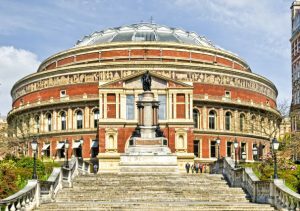 There may have been other variations but due to Health and Safety I was not allowed in to look. 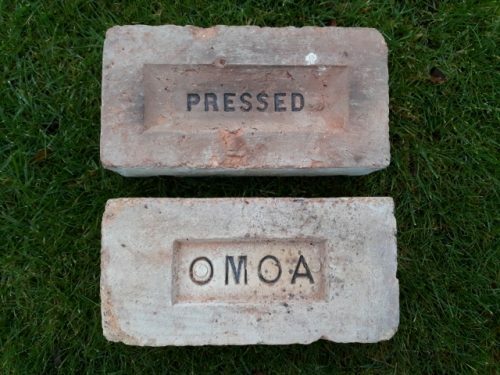 The bricks are marked Omoa and Pressed. Both are of a very similar fabric and size. Both are 2 3/4″ thick ( give or take an 1/8″). 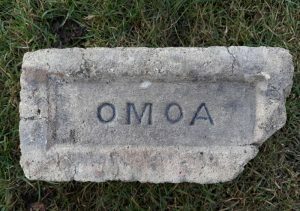 Up till now, Pressed marked bricks have been unidentified but there is a distinct chance that this particular marked brick was also made at Omoa. 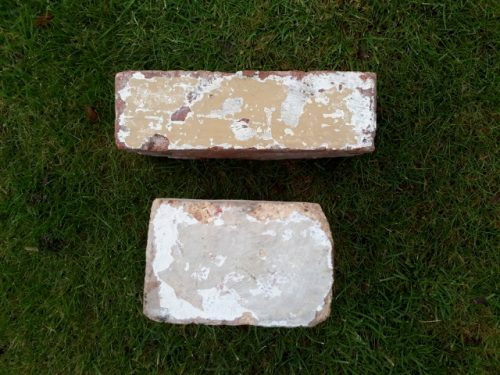 Below – both bricks had been whitewashed / painted to once side / end. Found by Robert Stewart in High Blantyre. 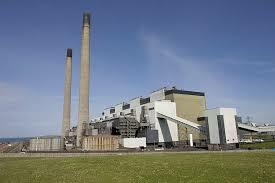 Omoa Fire Clay Works, Cleland, Motherwell. 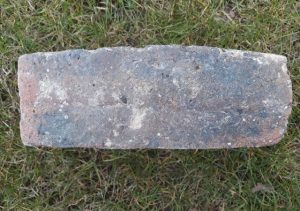 This example has a chamfer to one corner. . . . Below – Note the similar shaped kiss mark on underside brick where similar bricks were stacked during firing in the kiln.